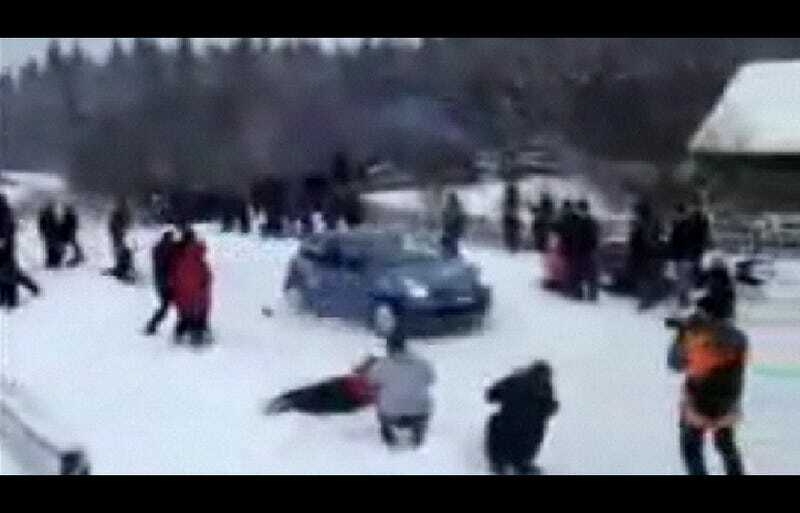 We're not quite sure where this occurred, but we're glad it wasn't at this year's Michigan-based 2009 Sno*Drift Rally. That could have been us! We also hope the camera wasn't too expensive.